Welcome to the latest entry in our Bonus Round series, wherein we tell you all about the new Android games of the day that we couldn't get to during our regular news rounds. Consider this a quick update for the dedicated gamers who can't wait for our weekly roundups, and don't want to wade through a whole day's worth of news just to get their pixelated fix. Today we've got an awesome heavy metal mosh pit game, a challenging logic-base puzzler, a minimal and relaxing drift racing game, a procedurally generated tile merging puzzler, a delightful choose your own adventure, a card game all about mushrooms, and a gorgeous point and click adventure game. I'm a big fan of puzzle games on my Android. They tend to work well in a touch-controlled medium because their concepts are usually simple enough to pick up and play. 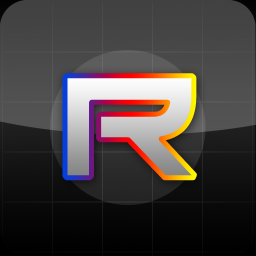 Refraction is no different, and challenges players with over 120 levels of color-matching, light-bending goodness that will have even the smartest of you scratching your head for awhile. Like every good puzzle game, Refraction starts out with a simple concept: use mirrors to guide beams of light to their corresponding beacons. It then adds another element in prisms, which allows for the splitting and combination of colors. Combining a yellow and red beam in a prism will produce orange, and running that beam back through a prism will break it back into its original components.